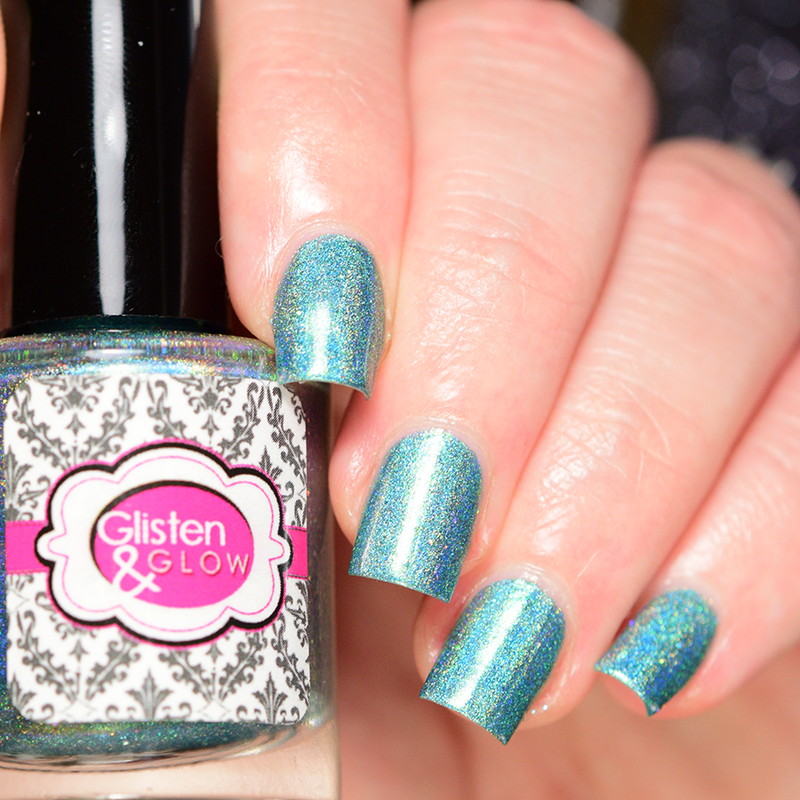 The 7 Year Anniversary Duo from Glisten & Glow is a stunning duo including a creamy coral with a hint of holographic microglitter and a beautiful teal holographic that are absolute stunners. These are perfect shades for Jill to celebrate 7 years of making awesome polishes, top and base coats, cuticle balms, etc. 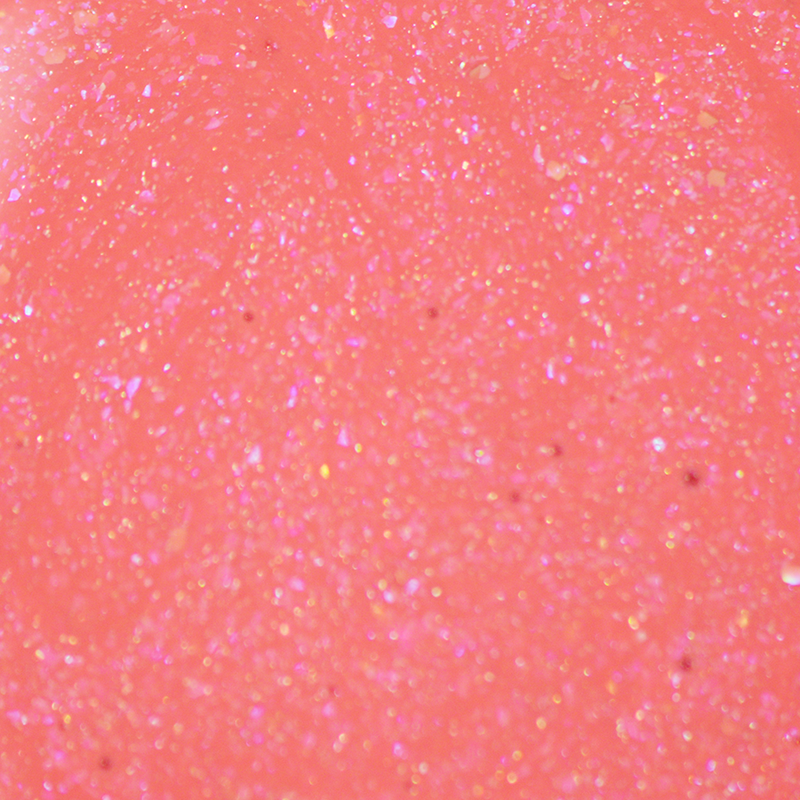 She always knocks it out of the park with her polishes and I was just so excited when she released these as I’ve never found a coral I could really see holo in due to the amount of white it takes for that base color, but this truly impresses. Enough gushing though let’s get on with all the swatching! 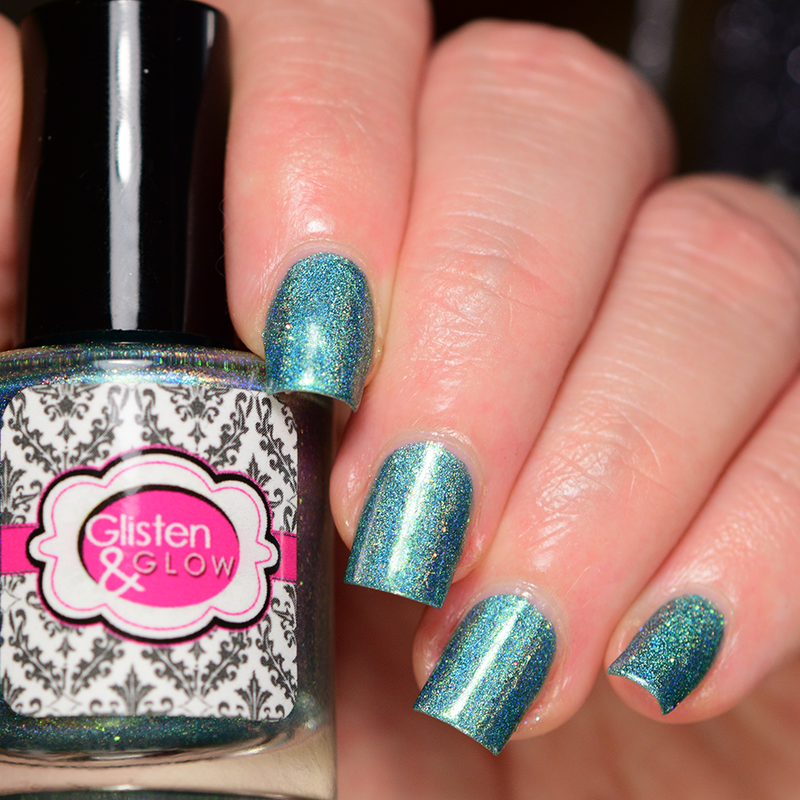 Each of the swatches shown is two thin coats of polish and one top coat of HK Girl Top Coat from Glisten & Glow unless otherwise noted. All images are shown under natural sunlight bulbs as well. To watch the live swatch click here. 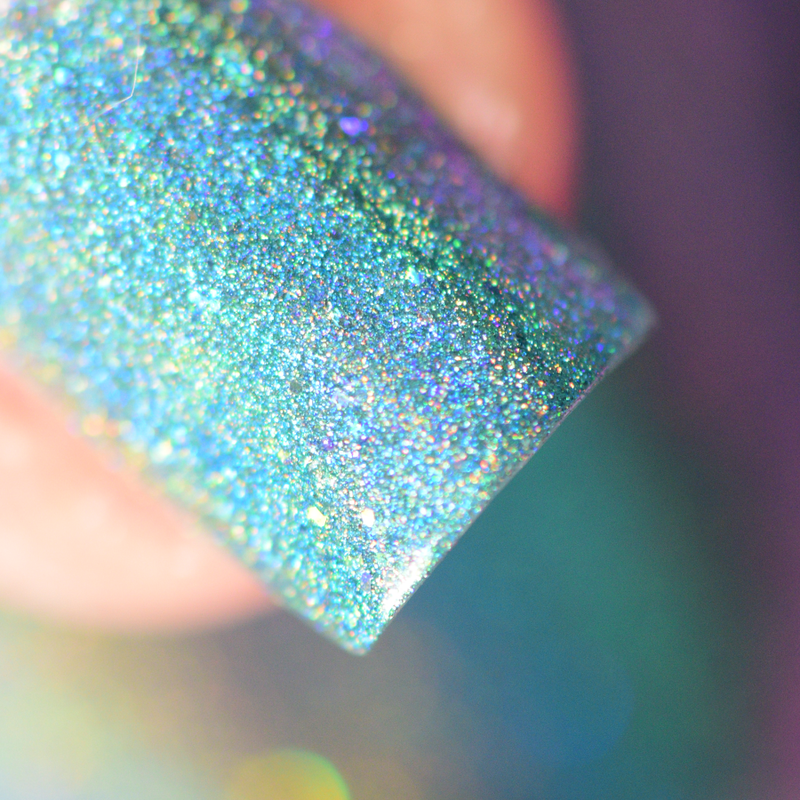 “7 Years and Glowing” is a stunning teal linear holographic with a hint of blue shimmer throughout, and some little bits of silver glitter, I’m actually still wearing this color right now and loooove it. 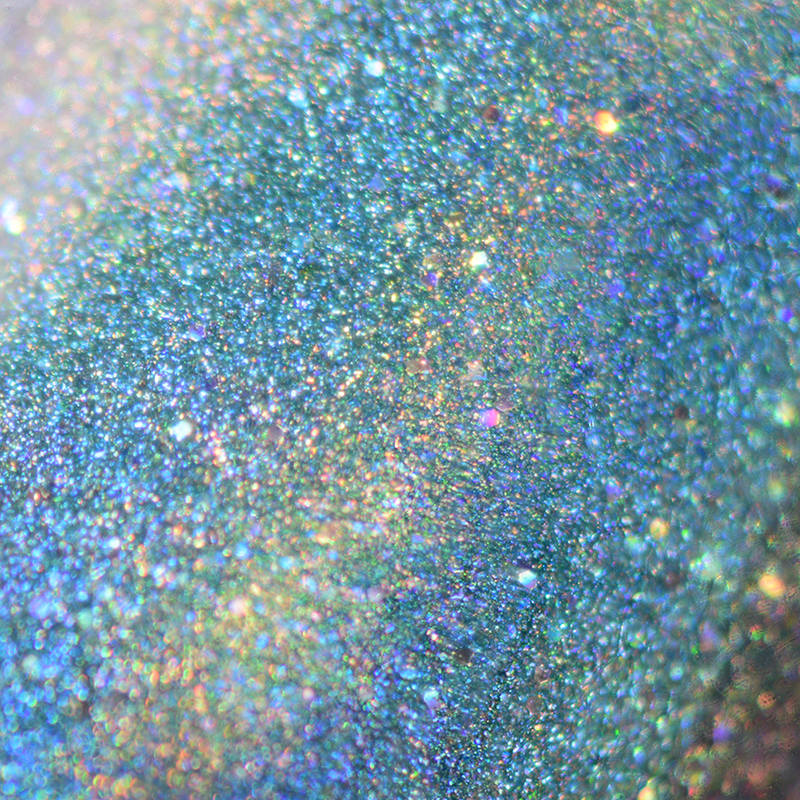 It sparkles in the sun amazingly, above it is shown in three different lights. 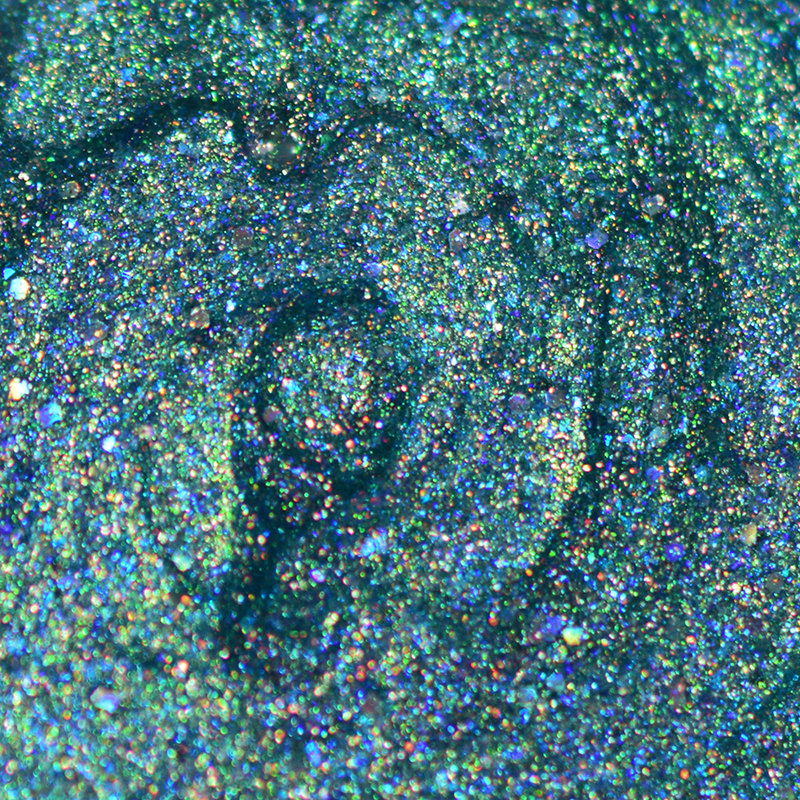 I decided to try out photographing it under sunlight bulbs, fluorescents, and latent daylight to try to show more of the shifts in it. I might do this from now on, it really brings out all the colors and shine. 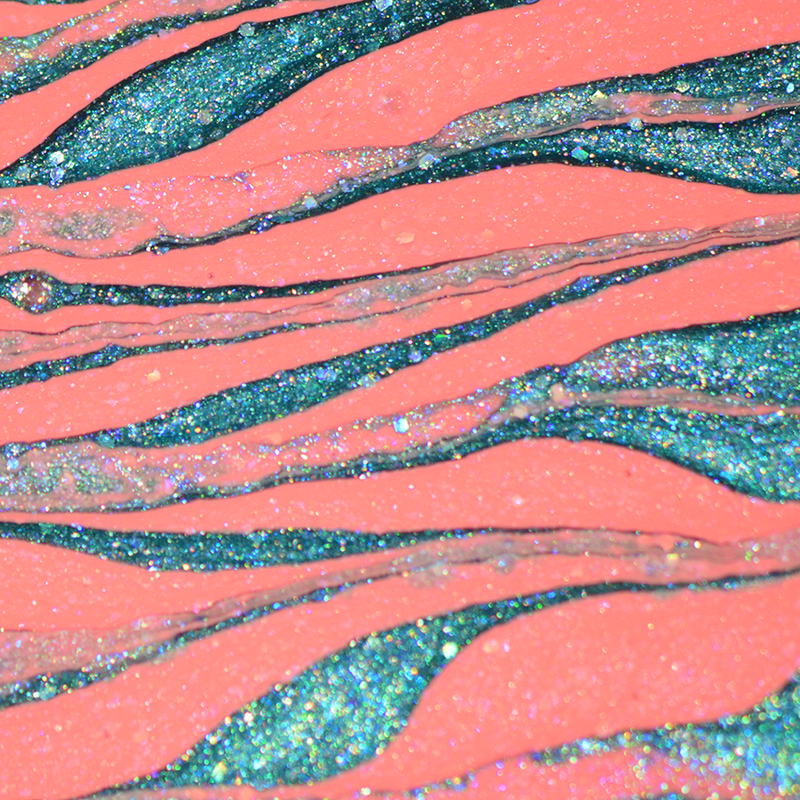 This went on smooth in just two coats and did dry slightly matte but still had the pure color and holo shining through. 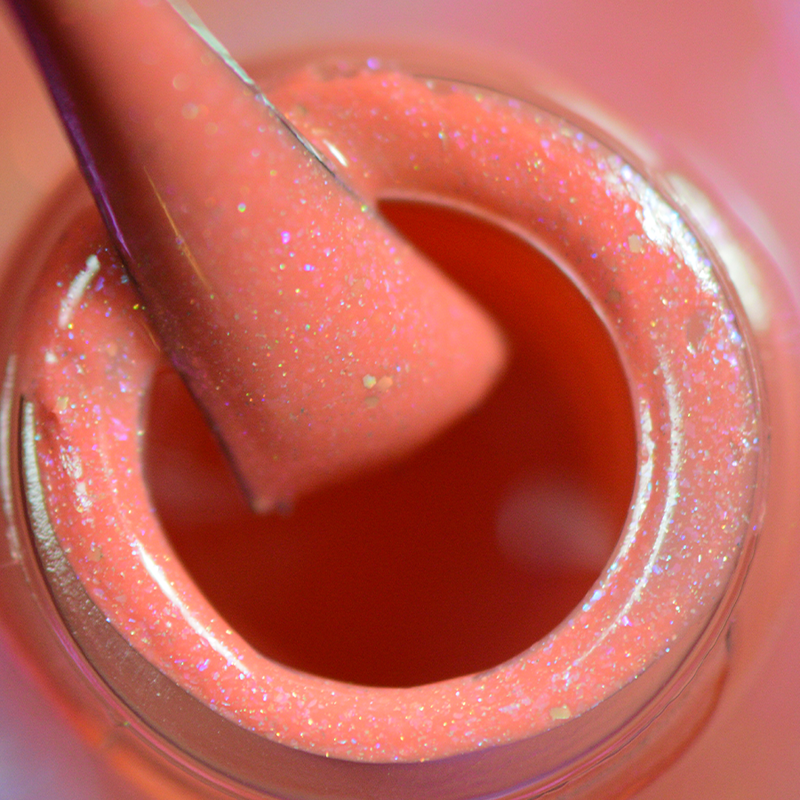 In addition the polish macros are the polish in the bottle, then also out of the bottle. 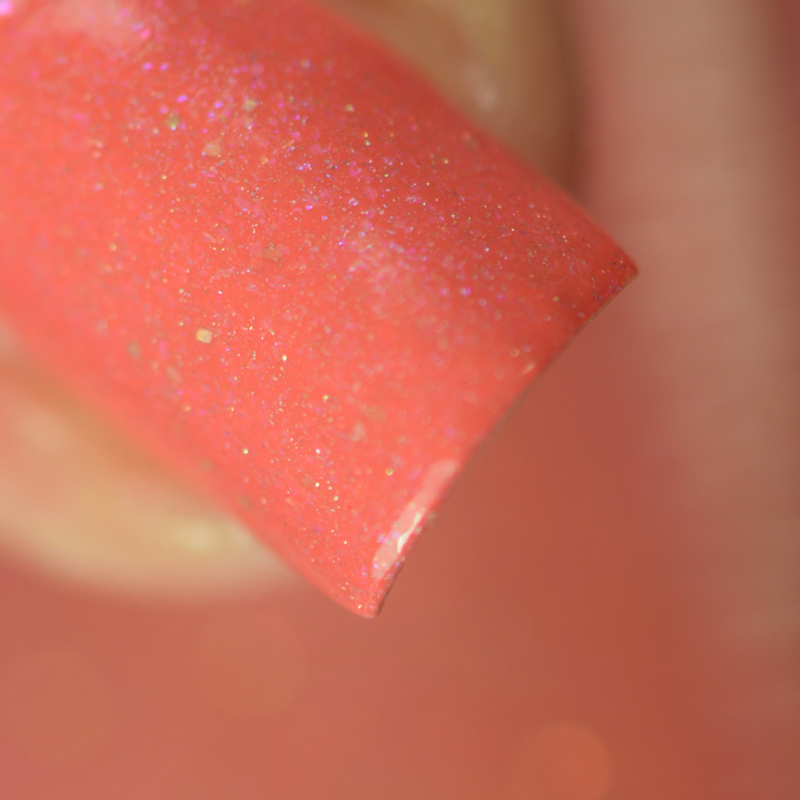 “Seventh Heaven” is a creamy coral polish with beautiful holographic microglitter throughout and a hint of a pink shimmer in the bottle and on the nail. 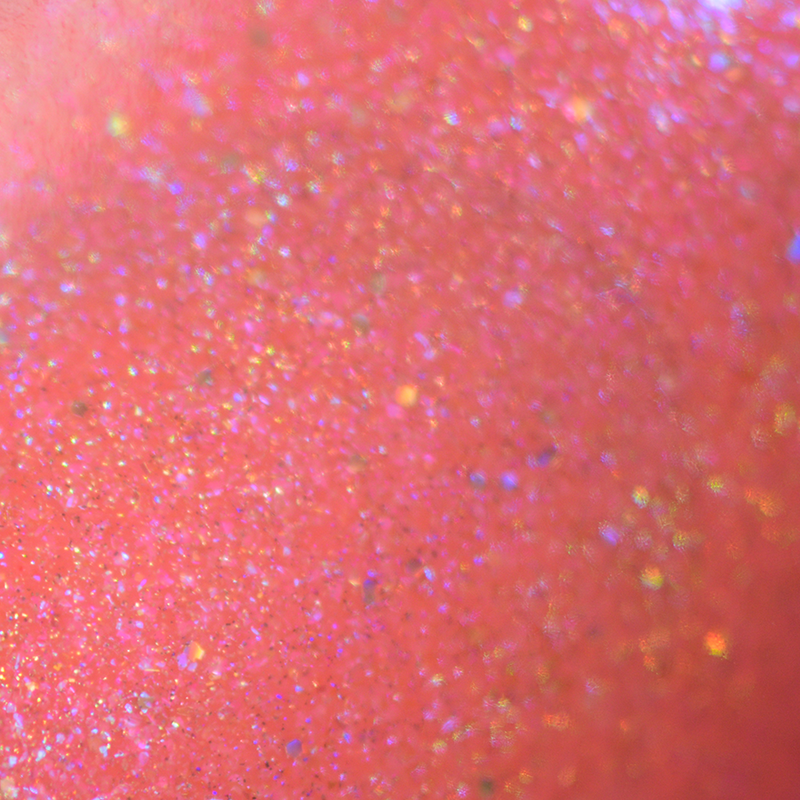 I have wanted a holographic coral color forever and they always end up with the holo and shimmer getting washed out by the cream color. This one however doesn’t end up washed out which was flawless for me and now it is a favorite I will definitely be using this for some Summer looks. 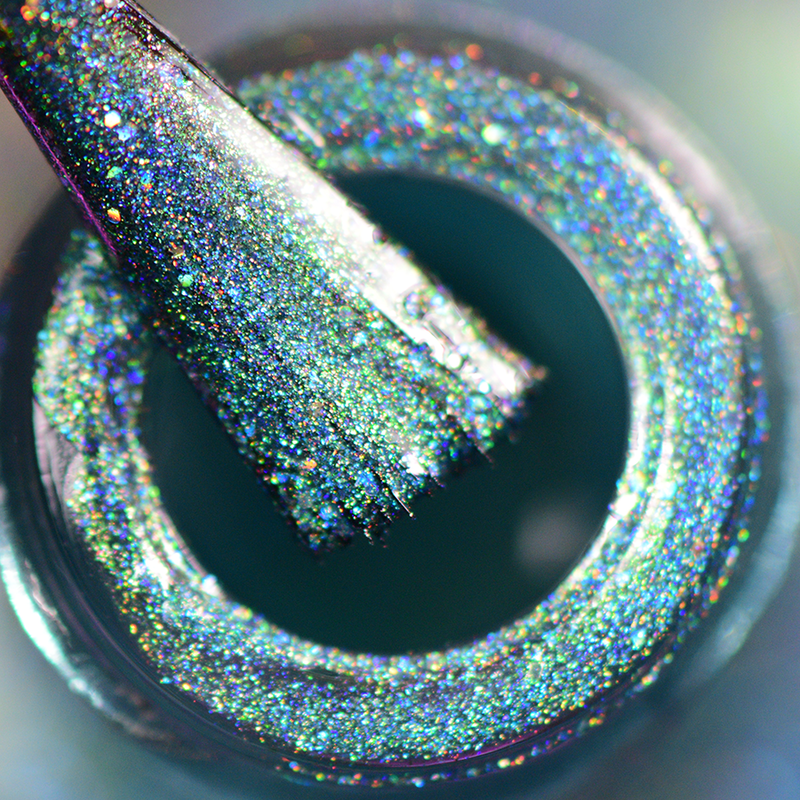 This went on in two easy coats and once again is shown in different lighting and with macros of the polish in the bottle and out. Overall these are perfection, Jill really gave it her all making these colors and making them completely unique and different from one another instead of a duo of similar colors. I’m happy to add these to my Glisten & Glow collection. These are available both individually and in the duo from her show right now, they will also be at Polish Con in a week which will be awesome.